Albany was a tourist day for the ship. 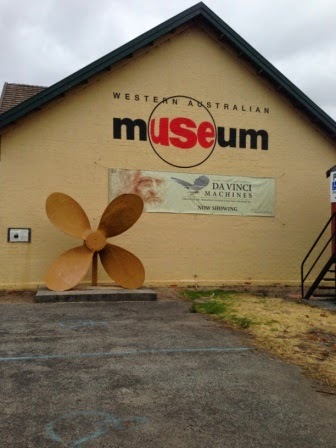 The Unlock the Past team were running a seminar at the Museum onshore. 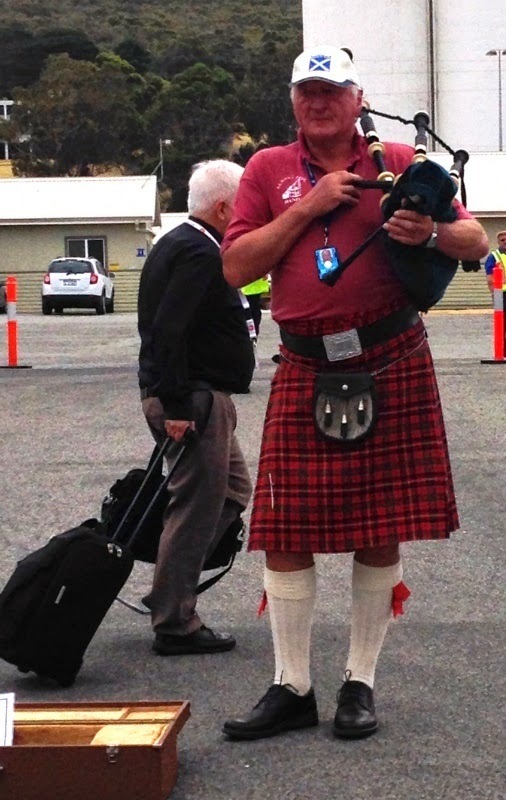 It was a grey day but as we were welcomed to shore by bagpipes, the weather was not a concern. Albany is a lovely place with a long history. It was the first settlement in Western Australia, being founded 26 December 1826 as a military outpost. 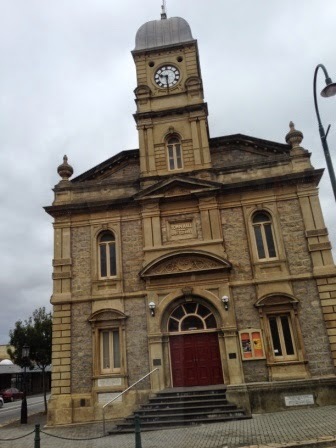 Initially named Frederick Town it was transferred to the Swan River Colony and renamed Albany in 1831. For many years, it was the colony’s only deep-water port until the opening of Fremantle in 1897 and is still the largest natural harbour in Western Australia. We caught the bus into the Museum where the seminar was being held. 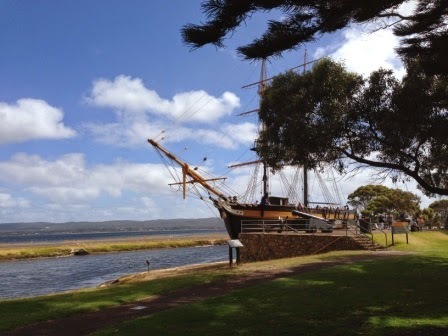 It is on the site of the Residency and a number of historic buildings and the replica brig the Amity overlooking the Princess Royal Harbour. The 148 ton brig Amity was built in New Brunswick, Canada in 1816. She ended up in the Southern Hemisphere when the Scottish Ralston Family bought her for their emigration to Tasmania. They sold her to the New South Wales Government and she was used for exploration and supply voyages. There is a Queensland connection (well it wasn’t Queensland then) as the Amity was used to transport the 70 people including soldiers of the 40th Foot Regiment, 29 convicts, explorers and their families to Redcliffe in Moreton Bay in 1824. Amity Point is named after the brig.The ship went to King George’s Sound in 1826 to establish the military outpost. There is a walkway near the Residency with panels listing the names of the settlers. At the seminar Dr Richard Reid, Rosemary Kopittke and the local society gave presentations. There was even a gentleman from Bowral, NSW in the audience! I always said the Unlock the Past seminars are a not to be missed event but that is a decent journey to attend. Actually he was over helping hos daughter to move and she kindly gave him the day off to attend the seminar as it had World War One and Irish topics. 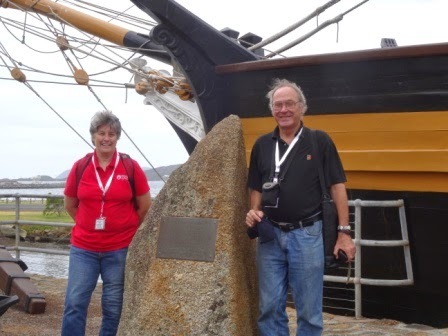 At the seminar we met John Shapland and his daughter Alyssa and this led to a fantastic visit to his private museum, a major highlight of the cruise, which you’ll be able to read about tomorrow. 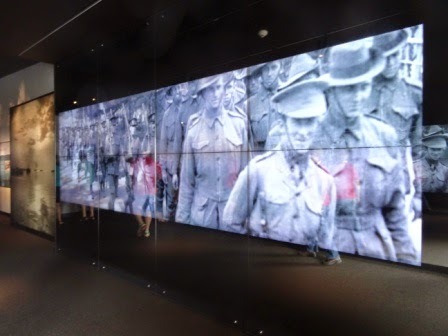 Thanks to John we were also able to visit the National ANZAC Centre which was another major highlight and you can read about here. Albany had a deep harbour and so the convoy assembled in King George Sound.The First and Second convoys left Albany originally to go to England but as we know actually ended up staying in Egypt. Dr Richard Reid said this had a lot to do with the quality of the accommodation available initially in England for the number of men so the idea was to hold them in Egypt until things could be sorted and then the Dardenelles campaign was decided upon and the legend of Gallipoli was born. 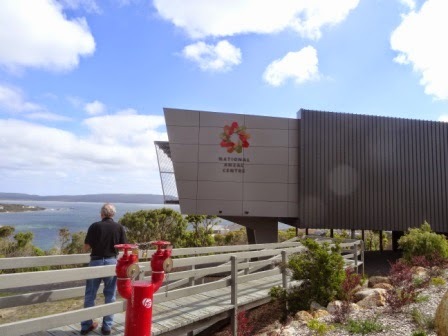 The National ANZAC Centre has been built in Albany and it is a must see item if you happen to be in that area. You will need to allow yourself at least two hours. It is an emotional tour. On entry each person is given a card bearing the name of a person and you follow the story of this person through their time in the war. 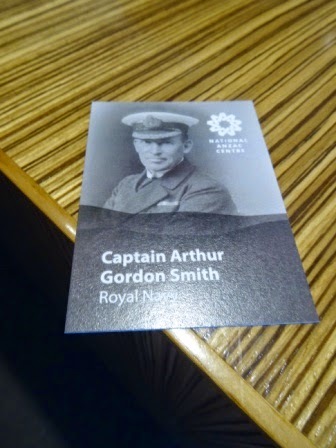 My card was for Captain Arthur Gordon Smith, who was in the Royal Navy. There are at least 30 different cards of Australians, Turks, British, nurses and more so covering many aspects of the participants. 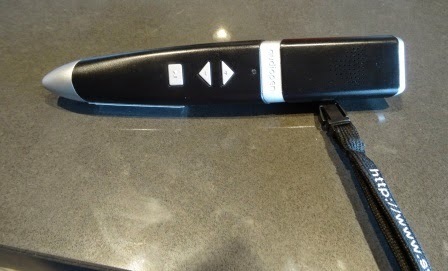 You are also given a receiver pen which you use to activate recordings at set points. You enter into the gallery and find the first information stand where you put your card and it calls up the dossier for your person. Then you move down and see the information panels where you can use your receiver pen by swiping across the A on the panel to activate a recording that you listen to on the pen. You keep following your person through their military service and yes, it is real life, some are killed, others wounded and some survive the war. My person was the Captain of First Convoy to leave Albany. He survived the war only to die of pancreatic cancer in later life. 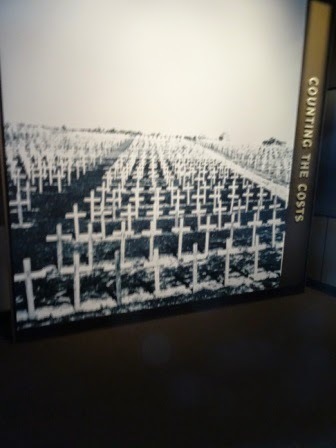 The Centre also highlights the cost not only in deaths of which there were too many but also all the wounded who came back and the effect this had on their lives and the lives of their loved ones forever more. I know Albany is many miles away but don’t despair, the National ANZAC Centre has a website and you are able to follow the cards through on the website as well (there are 32 available on the website). 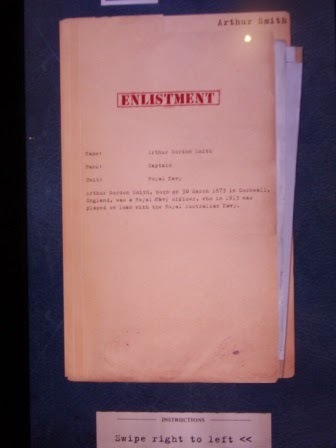 There is also a fantastic links section and a searchable list of all people on the First and Second Convoys. This is my great-grandfather and he was one of 2663 men and women on this ship. The visit was very emotional and worthwhile. It has been a great time and I have just come off the 7th Unlock the Past cruise. This was a very special cruise for me as it went to Albany. 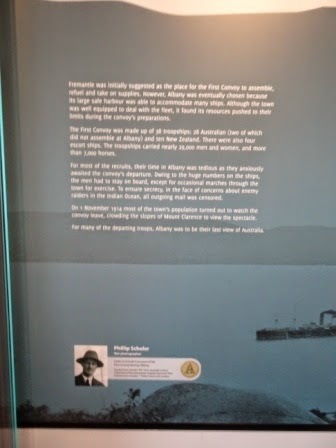 My great-grandfather George Howard Busby was aboard the A40 Ceramic which was in the Second Convoy that left St George’s Sound, Albany 31 December 1914. 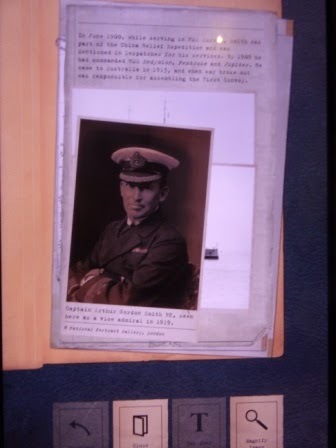 He went from there to Egypt and thence to Gallipoli so as Albany was a stop and this cruise had some military lectures I had to go.This was a short cruise of five nights. 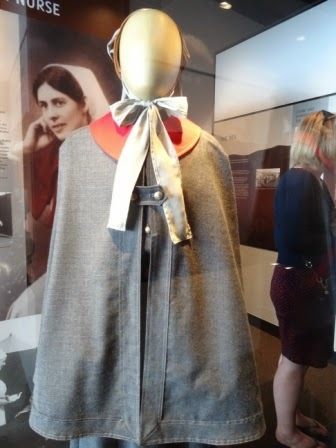 The 100 year commemorations in Albany for the first convoy had occurred in November. 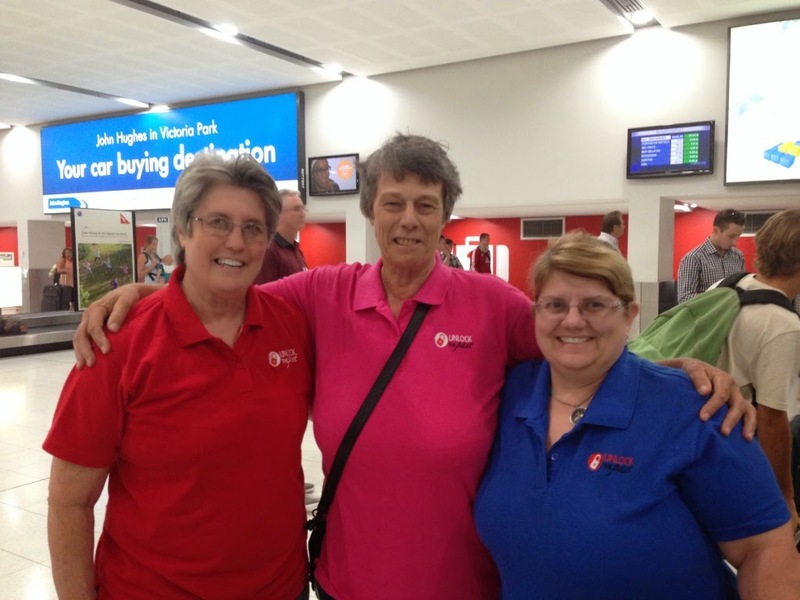 The Queensland Contingent, this time arrived by air. 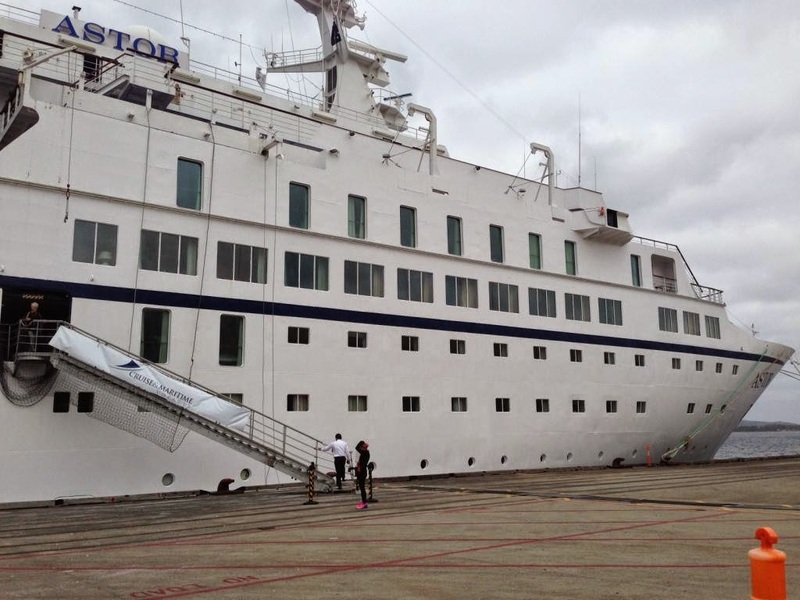 We were kindly driven by Kristen down to Fremantle from where our ship the Astor would leave. Weather was sunny and a warm 35 degrees but it is a dry heat which was a relief after the high humidity we had had in Brisbane. 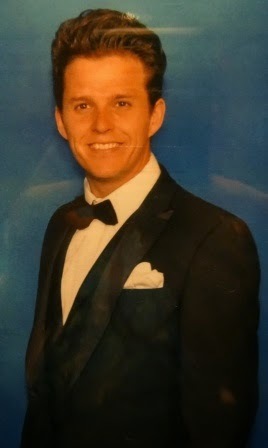 Lee was our liaison on the ship and kept things running smoothly. He was also the DJ, a singer and I am not sure how many other hats he wore but always had a smile whenever I saw him. 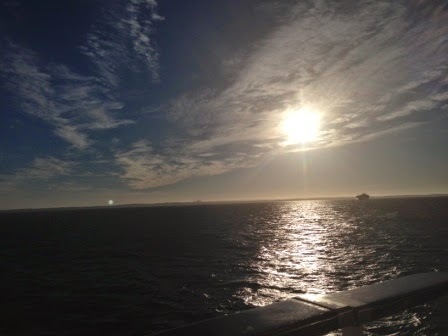 Our first day was at sea and was a full conference day. The eminent historian, Dr Richard Reid gave the first presentation: Ireland of the ancestors: maps, documents, valuations,diaries, books, parish registers. 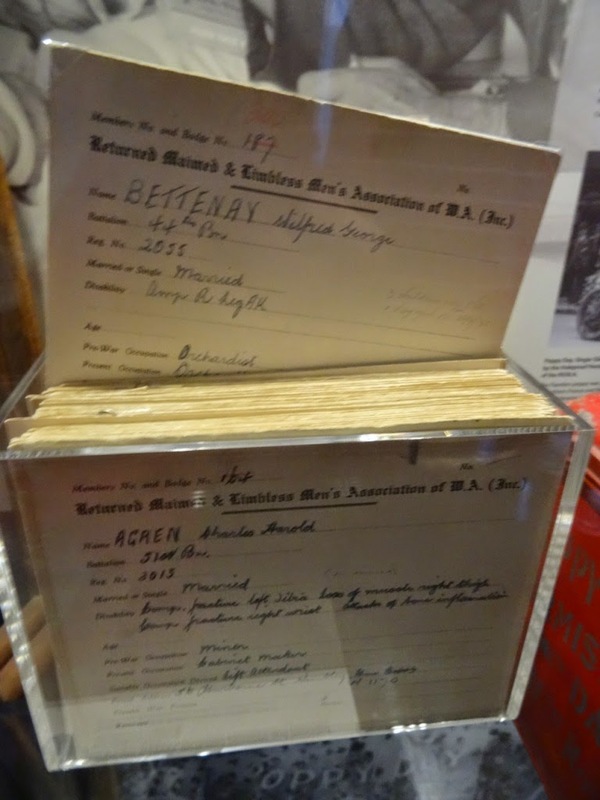 Richard showed the life in Ireland and the records that can help us add that life to our families. Then it was a choice between Mike Murray on Researching Your Western Australian Ancestors or Eric Kopittke speaking on Starting Your German Research. 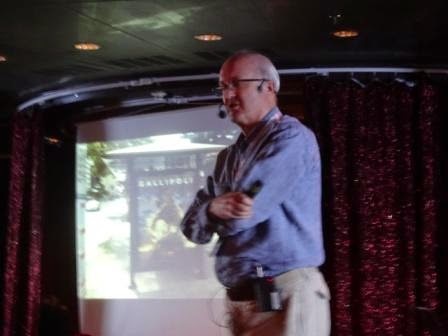 I don’t have research in either area but went to Mike’s talk. Then morning tea time before Lesley Silvester’s talk on Beyond the Parish Registers: lesser known English records from the 18th and 19th centuries. Lesley is very knowledgeable in this area and well worth hearing if you have a chance. 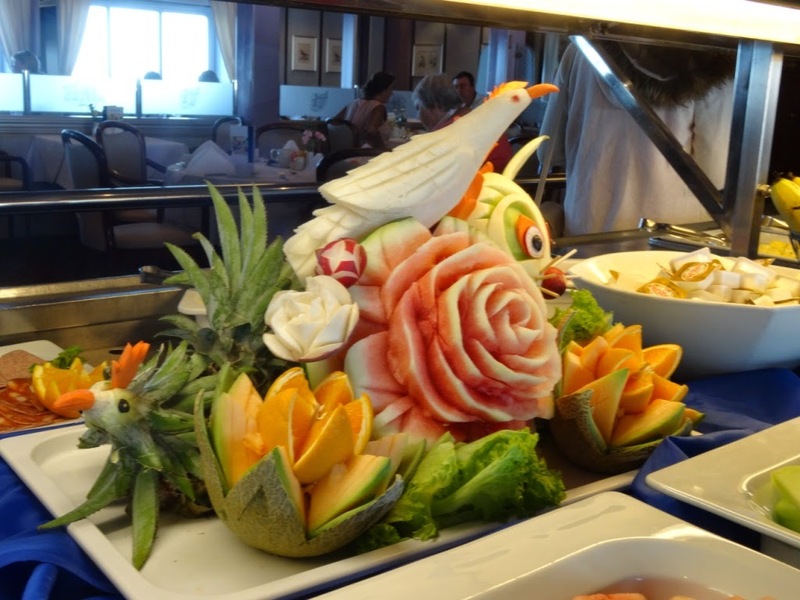 Then lunch, one thing on a cruise is that food breaks happen quite often! I spoke after lunch on Gallipoli: medical services talking about how the medical service was organised and how they helped the wounded. In this time pre the antibiotic era disease was always a problem. In fact there were only two weeks during the campaign that there were more wounded being evacuated from Gallipoli than soldiers who were ill with disease particularly dysentery. being a Public Health Microbiologist I have a particular interest in health and how this affected our ancestors. Richard had been the historian with the Australian War Memorial and Veterans Affairs for many years. He has a particular affinity with the Western Front especially as he was involved in bringing the “Unknown Soldier” home. Richard was also involved in the Joint Historical and Archaeological Survey, and it began in 2005 with high-level diplomatic negotiations between the Turkish, New Zealand and Australian governments. Gallipoli is the best preserved battlefield of the First World War as obviously in heavily populated areas there was the requirement to use the battlefied areas again for farming and life. The Turkish government have preserved the battlefield area and we should be very thankful for this, considering their country was invaded by enemy forces. During the dig there was a lot involved and part of it was the mapping of the trenches, using technology with GPS tracking and a huge amount of hard physical work cutting the undergrowth in the trenches. Later in 2015 a book will be published on the findings of the survey and this is one that is definitely on my shopping list. Another break and then Liana Fitzpatrick, President of WAGS (the Western Australian Genealogical Society) gave a presentation on two of their special World War One projects: Western Australian Gallipoli deaths and the Cheops pyramid photo. I plan to write a special post on these two projects so more about them later. Rosemary Kopittke then spoke on Using Electoral Rolls for Genealogy: Tips and Traps. It is important to know the requirements for being on the roll as you could waste many hours searching for someone on the roll when in fact they were not eligible to vote. And in counterpoint you may not search thinking they wouldn’t be on the roll when in actual fact they may be there. Then came the Research Help Zone and these are always a highlight for me as I really enjoy talking to people about their genealogy and their brickwall problems. There is nothing more satisfying than hearing the brick wall come tumbling down. Then dinner (yes I did mention there are a lot of food breaks!) before we reassembled for Mike’s talk on being “The Online Detective: improving your online research. Then to bed being rocked to sleep while the ship traveled to Esperance. People tendered ashore at Esperance but I spent my day in the very nice library enjoying research time and doing another Research Help Zone with associated meal breaks before Richard’s after dinner talk on ‘There is no person starving here’: Australia, Ireland and the Great Famine, 1845‐50. Then off to the Captain’s lounge for a quiet drink and discussion on the day’s talks.